The Sony RX10 Mark IV has a solid reputation by now from its amazing 24-600mm Zeiss zoom to its 4k video capabilities, but it’s dynamic range hasn’t really been tested until now. 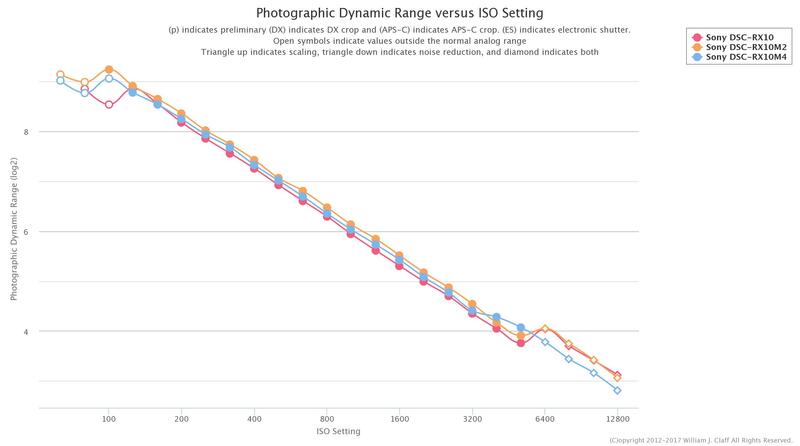 Photons to Photos has the hard numbers and it looks like the Mark 4 might actually have slightly worse dynamic range than previous iterations of the RX10, but it also looks like Sony is continuing to use the same design for it’s 1″ sensor across generations and camera models with the RX100 having very similar results, which you can see and manipulate here. I have always liked Sony’s 1″ sensor and still own the original RX100 today, because I enjoy the color it produces the most out of all 1″ sensor cameras.